Northwest National Real Estate: SOLD! Alberton Gorge Rec Area Gateway to Fish Creek Area Owner Terms Available! SOLD! Alberton Gorge Rec Area Gateway to Fish Creek Area Owner Terms Available! 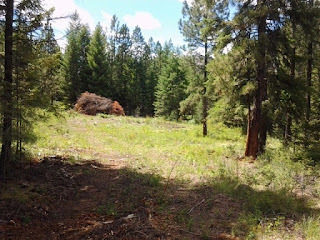 Located just 25 minutes from Missoula, Montana, on I-90 Corridor is this 22 acre parcel for sale located in the Alberton recreational area with good access and availability for any use related to the gorge. There are multiple home sites on this property with a developed home site and legal access off state road. Area has good well logs and septic and power is available. Property has many uses with added opportunities with its location for recreational opportunities. Property is within walking distance to the Clark Fork River with views of the Purple Cliffs in many areas. Owner Financing Available!!! Call Judy Stang for your private showing today at 406-822-2316. Priced at $129,000.